It certainly has an original point of view. Reminds you of the ancient poem "The Blind men of Hindustan" by Kipling. The whole country looks at them as the thorn which got into the India's toe on its way to progress. And here is what their leader has to say "The honeymoon is over the marriage to continue". Wow! Honeymoon !! When ? .... What would we do without our leaders? One of those imponderables? The face of the new generation which will finally make a really Independent India. There was certainly an extra dose of cheer in the streets. 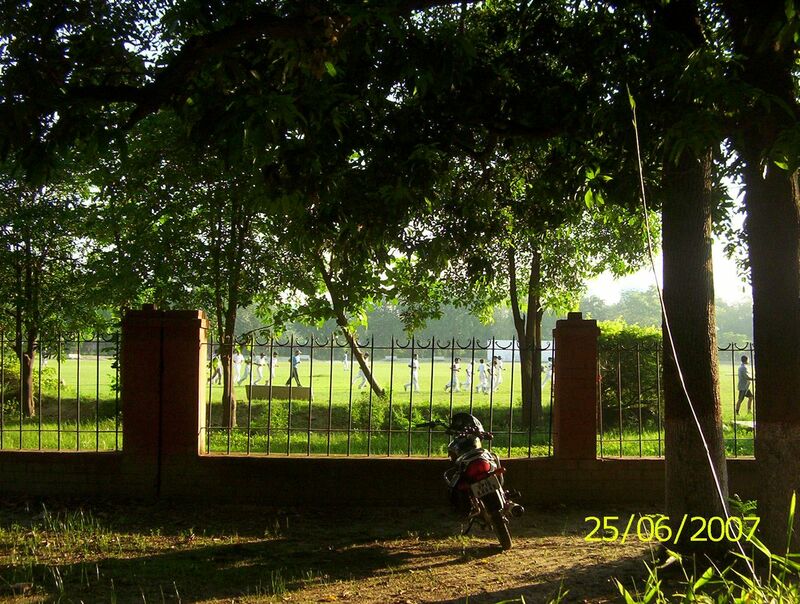 Some schoolboys on Motorcycles from St. Johns had dholakias sitting on the backseat for that unbeatable dholak beat. Food for thought : we are happy to be 'ruled' by Indians not aliens. The infrastructure they left behind could definitely be made more acceptable for a more modern Indian outlook. The Laws, Permissions, Regulations / over-regulations could bear improvement. Read Amitabh's genuine grievance. This law however does not date from Colonial rule. The intention behind it does. That is Revenue is top prioritiy. The People's aspirations come second. 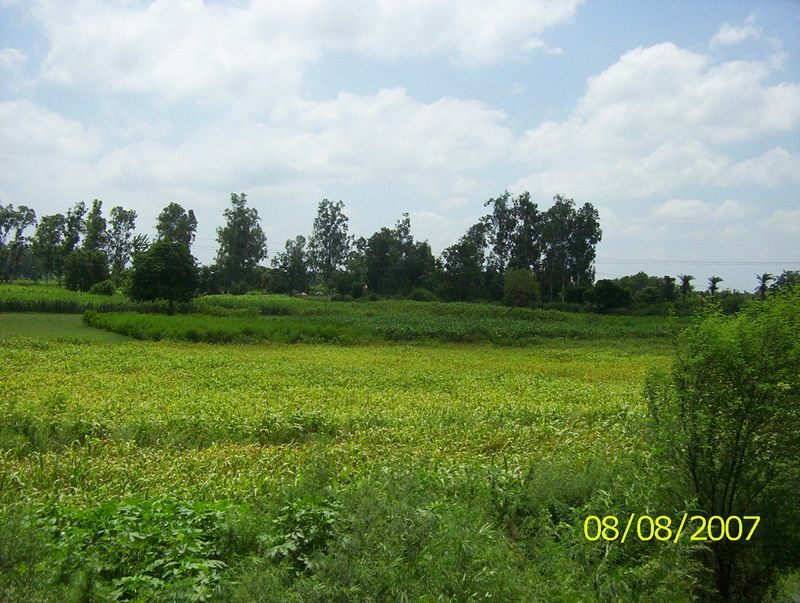 It was put in to minimise tax evasion by cultivating land! TAX is sacred after all ! * The scan is from the Meerut edition of Dainik Jagran of 13th August. Imagine requiring Government screening to buy land in a predominantly agricultural ( 90% agricultural population ) country. Certainly impedes money flowing into the villages. This was covered on TV, but is absent from the English press!! And that leads us on to a far more serious point to ponder upon. Can laws themselves be illegal? Reviewing their pedigree both Colonial and current there is a good chance that it is indeed so. We were entertained by scenes from our Apex body the Parliament of India. These were Legislators who were objecting to the Nuclear deal signed by the Government. Legislators are people who make laws. Our fish-market looks much better and has better people. The less said the better. One thing must be said, it is the common man who pays for them. And yes these are 'rulers'. Our infrastructure Legal, Bureaucratic and Military was put in by the East India Company. The circumstances under which it was implemented bear repeating a 100 times. Click here to read a very well researched write up from an issue of THE STATESMAN of 2002. The Prime Minister's speech is on TV right now. As far as I can tell there is no mention of how to prevent Public Money flowing into the private bank accounts of the 'rulers'. * Religion can be ridiculed but not Tax. And that holds universally. From Biblical times. Things you cannot experience by just looking at the picture. The bass sound from those speakers can make the chest vibrate. ( Recordings are specially done for this occasion and the entire town resounds to the big beat ). It is indescribably hot and sticky. They have walked from Haridwar, over a hundred miles away. Have brought Ganga Jal from there. And their nerves and senses are at an edge. There are reception Shamianas all along the entire route. God bless anyone who rubs them wrongly. In fact God has blessed and kept many a soul. 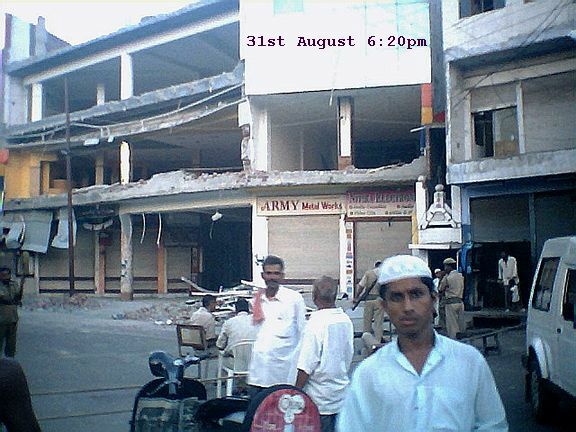 That is the reason the route from Delhi to Dehradun is blocked for over a week. They pass through at least a hundred miles of scenes like these. No traffic lights, no skyscrapers - very backward :). Surprise . This is how a lot of Western UP looks like. The population density here is more than other parts of UP. So where did all the people go. UP is India's most populous State, no doubt about that. However in our backwardness are we doing something right? The largest city does not exceed a population of 3 million (+/- .5million). There are only 3 or 4 towns/cities more than 1 million. Such roads lead to our greatest and grandest people. They survive not only against the forces of nature and the planet but artificial, contrived ones - corrupt and unresponsive Government being one. Now they are not so heavily taxed, but The Raj was certainly financed by them . Through the Settlement system. Back to the events of 1857. Neither "Mutiny" or "War of Independence" is correct. It is called the "peasant rebellion" by Eric Stokes in his book of the same name . Last week of June. In a few hours life will melt and people wither. Meanwhile all is not lost. Here are people who would rather live than watch. Whatever happened to Skating? 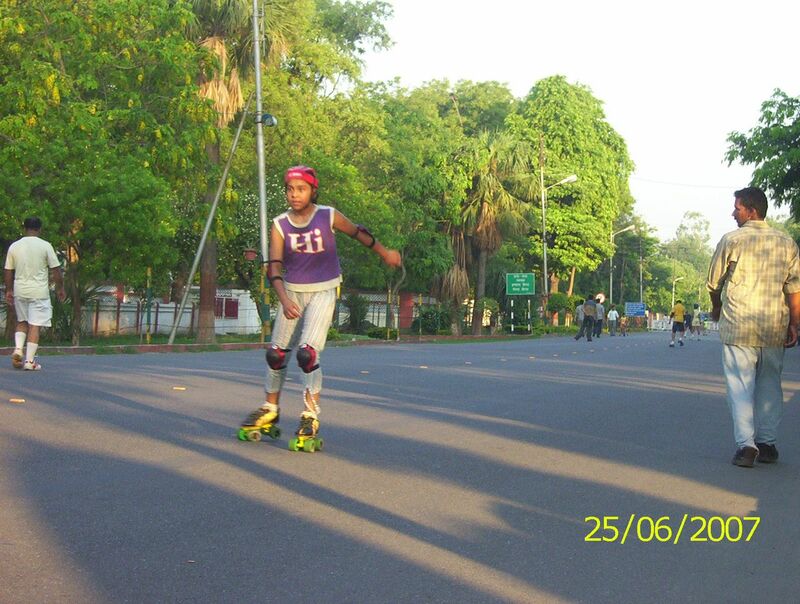 In the Sixties and even the Seventies all the nearby hill-stations, Mussoorie, Nanital had Skating Rinks (earlier these were theaters which were life savers for the colonial masters). Wooden floors, the latest music Hindi and English would play in the background, a wooden ramp would be in the middle where the more skilled could jump off and fly in the air. Now all the hotel rooms have at least a 100 channels of idiotic programs, no different to the ones they watch in the plains. 1st week of June , people die just thinking about it. This is another one of the sights which will make you forget the temperature. 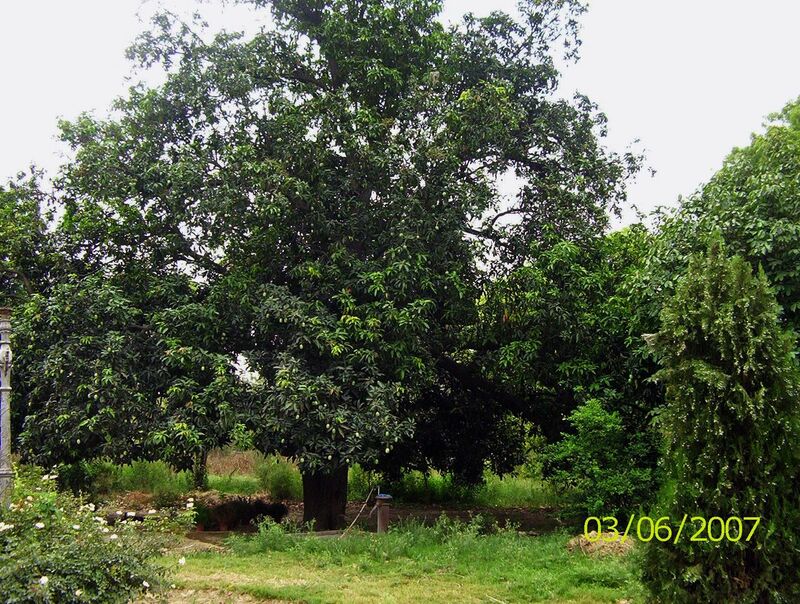 A fully laden mango tree. 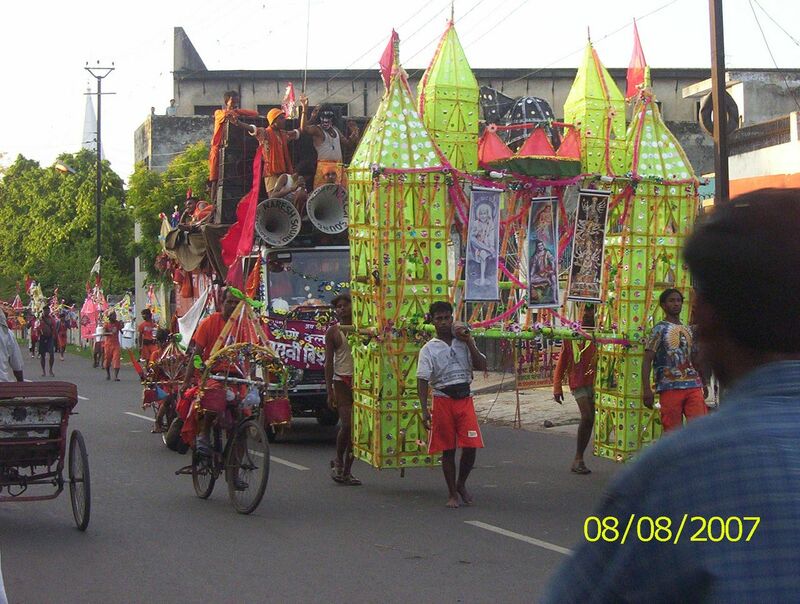 Whatever the reasons for President Kalam's leaving one thing is certain the people had nothing to do with it. The profoundities uttered by the aparitions that appear on our TV screens are worth noting. One substantial lady said that the media is responsible for the public's lack for respect for politicians - by disclosing the truth about them ? That is certainly very immoral. Another, a spokesman of the left front did not think people who expressed their opinions on the Net, were people. These are of course leaders of the people. Or so they like to think. The lady-with-the-thousand-shoes used her formidable weight to persuade President Kalam to change his mind but no dice. She also used the TV exposure to reveal her magnificent vision to the people at large. She would like to see India as a Super-Power in a decade or so. That is magnificent indeed. If only someone would define 'Super-Power'. With 1941 guns and every Economic Indicator close to the bottom of the heap, that is vision indeed. The medieval ( British ?) saying comes to mind 'If wishes were horses beggars would ride'. Of course , in the US some beggars have cars. A far more practicable vision would be to endeavour to minimise the sum total of misery. Starting with alleviating the abject financial misery which leads hard-working tillers of the soil to suicide. Let not a single such case happen next year and we would be doing OK. Another strange fact is that there are an increasing number of suicides in the army. And the nation explicitly declares concern for their morale. A Dainik Jagran of the last week of June states that the suicides are greater!! than the casualties in conflict. Suicides 57 casualties 43 ( the figures may be slightly off ). Now the vacancy has been filled, but have we got a President? President Kalam will be President in the people's mind for a long, long time. Even though he will not be staying in the President's estate. Praise the Lord. 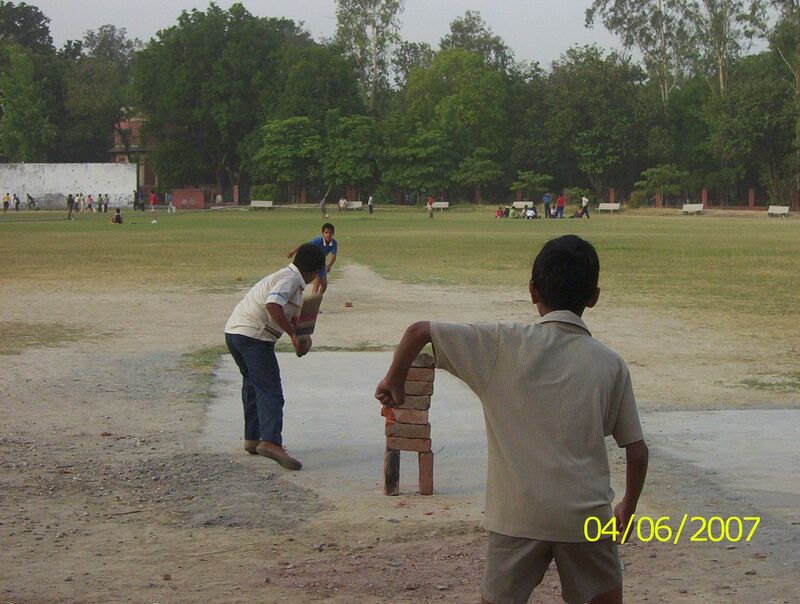 At least some believe that the joy of Cricket is in playing not watching. A blaze of glory when no one is watching. School is closed . Exams finished results declared. All is calm all is quite. Except for this glorious sight. You may actually not notice the heat for a while. 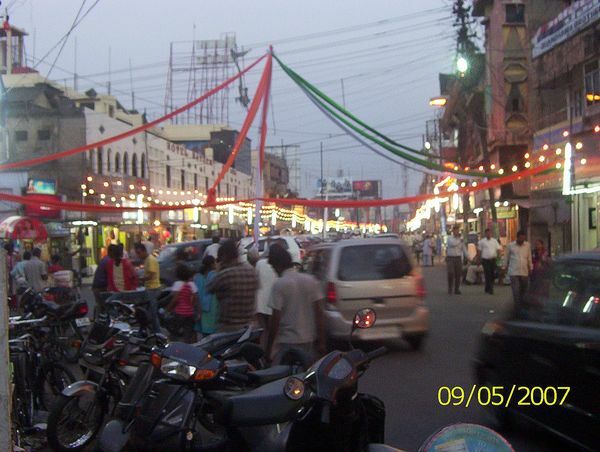 There are tricolour sheets over many sections of Abu Lane, Sadar Bazar .. There were sundry ministers and others doing the rounds. There are a number of functions in schools. Most of Indian Government is Eye wash they know it we know it but noise creation is done very well indeed. What is very interesting is that not a word of thanks is uttered for the Great East India Company. Which is responsible for the entire structure ( call it a bag of rotten bones or steel frame according to your orientation ) under which India continues to function. The Courts, the Bureaucracy, the Army. We are still so much in awe of the structure that not a comma is rubbed out from the legacy. 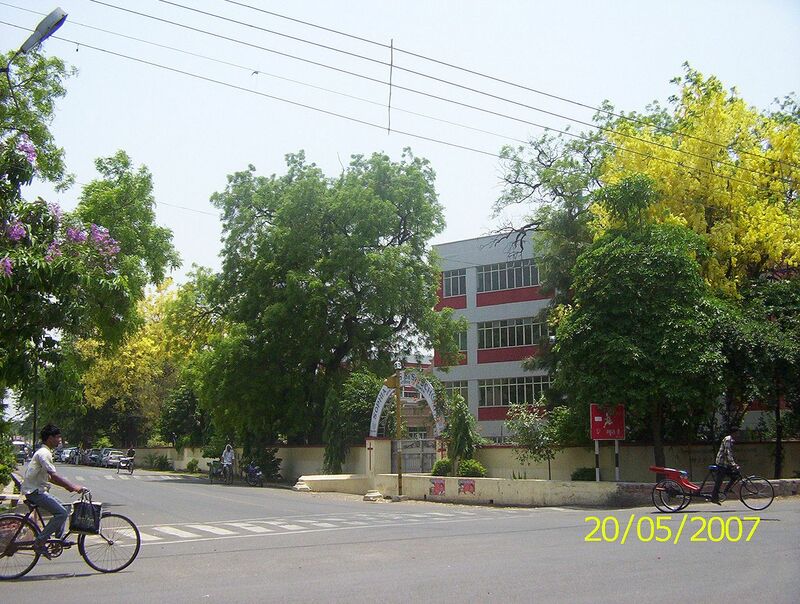 In the Bombay Bazar area are two of the best buildings in the Cantonment area which ran foul of the 'rules' left behind by the East India Company. 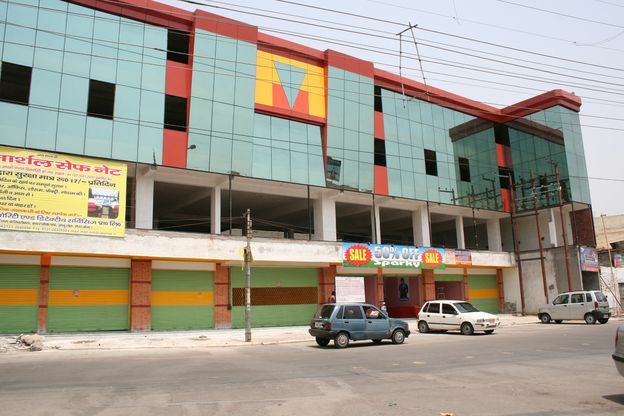 One is near Hanuman Chowk and was actually a functioning Shopping Mall till August 2006 employing over 200 people. Another is at the entry to West End Road which got Supreme court orders plastered before it opened its shutters. For those who came in late, you are supposed to know that the evil East India Company rule ended in 1857. There would be no problem if these rules were just ignored. All over the world there are rules which are no longer relevant. Thinking bureacrats filter these out. In India we have Babus who cannot think beyond the imaginary importance they get from obstruction. 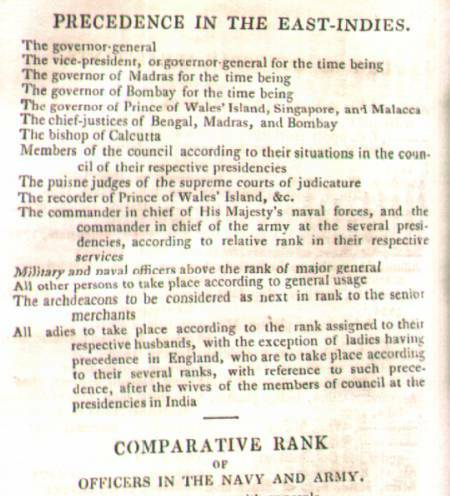 Even the East India Company wished India well for its economic progress. Notwithstanding the fact that they tweaked things in their favour with myriad permissions etc. The virulence of these outdated rules is what destroyed the best complex in the Cantonment nearly a year ago . It is interesting to examine some major events just prior to the mutiny of 1857. Nepal was attacked in 1814. ( Under the treaty of Sigauli they procured Mussoorie, Simla , Nainital, Darjeeling was extracted in 1835 some 21 years later ) . Macaulay's speech ridiculing Indian Knowledge etc. came out somewhere in 1833? And that marks the start of the end of a certain degree of British - Indian social Interaction. 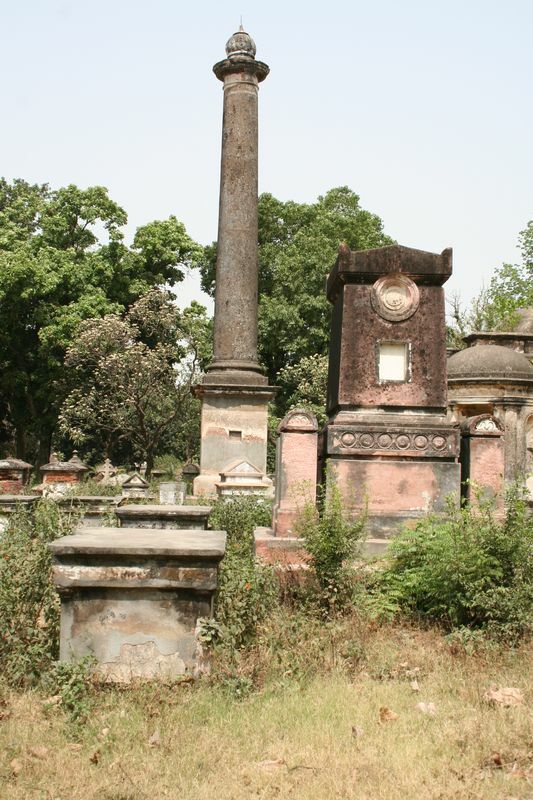 Graves prior to 1833 often have a distinct Indian influence to them. After 1857 there were no more annexations / battles internally ( prior to that there may have been one in a month or two* ). They just had to extend their demands and the Rajas Maharajas would just bend over backwards. The Princely States really receded after Independence. However before Independence they had paid huge sums to the British. They became paupers after Indira Gandhi withdrew their Privy Purses. The defeat of the Gurkhas really gave a lot of boost to the EIC morale. *If you stay at Carlton's Hotel in Happy Valley in Mussorie you can see a number of paintings depicting battle scenes in various villages. Some of these villages may now have vanished. The tower which marks Gillespie's grave in St. John's cemetery, gives 31st October 1814 as the date of his death. And therein lies a tale which seems to have been told only in Nepal. Not of Gillespie and his East India Company 'Army' but of the people he attacked. A settlement at Kalunga near Dehradun of Gurkhas in which almost 30% were Women and Children . Gillespie took about 4000 men from Meerut around 23rd of October ( the official invasion ordered by Hastings was to start on November 1st ). The settlement of Gurkhas numbered only about 700. The encounter lasted almost 5 to 6 weeks. There are detailed letters dating from that time which make the long-drawn battle come alive, after close to 200 years. 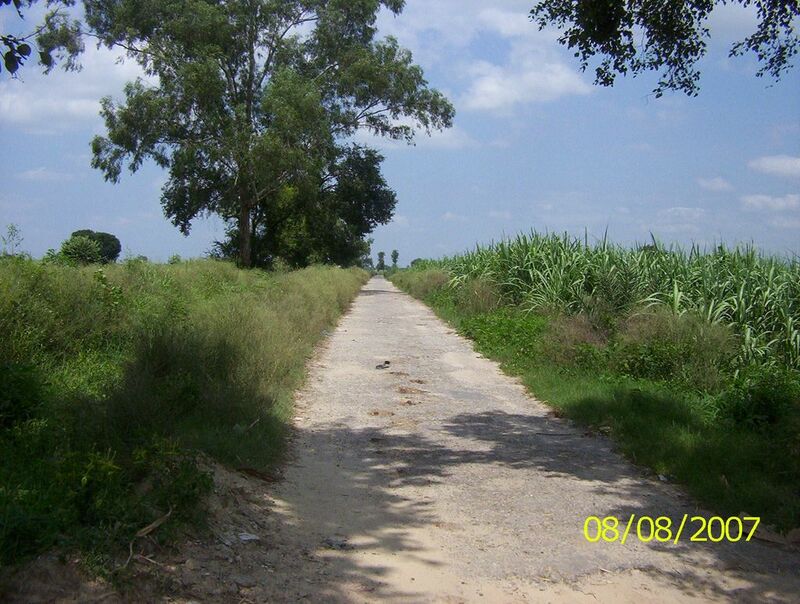 That settlement contained perhaps 300 to 400 Gurkhas who called themselves "The Malechha - Kalanala Company ". The British were called Malechhas by the Nepalis and Malechha - Kalanala roughly translates to "The company which is the fire of death to the British ". Put mouse over picture to read the letters plus some added material.Just 43 years later the Gurkhas with the Sikhs sided with the British and were instrumental in crushing the Mutiny. This tower is a landmark of sorts in the immediate region. The more knowledgeable know it as Gillespie's grave. What even the most knowledgeable don't know is that it is also a memorial to the battle that created the legend of the Gurkhas. About the confrontation in which he was killed. It is sheer chance and the power of the Internet that one finds enormous amount of detail for this one battle ( very prolonged ) - thanks mainly to the Regmi Research Foundation which took 20 years to translate material into English with support from an US University. The reasons why this ( details of the battle ) was kept undercover need not be explained.